Three-ring hanging file binders offer an excellent data storage reference binder. 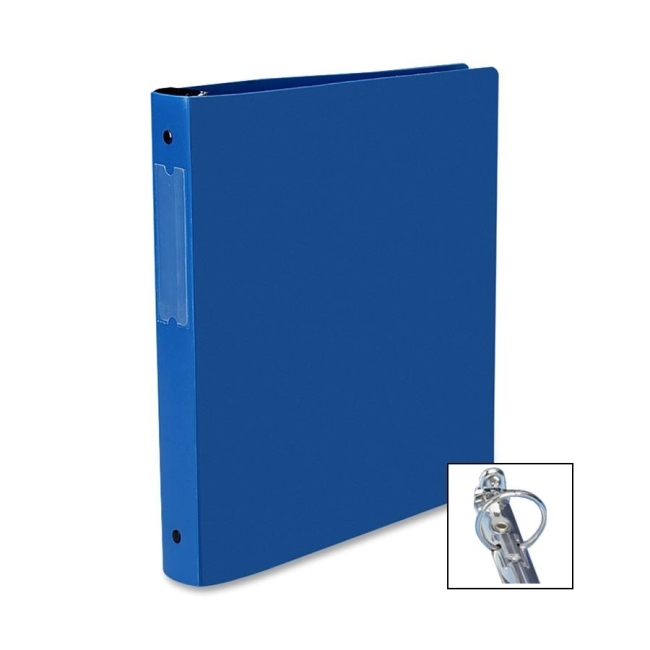 Built-in "hangers" designed to hold binder in standard hanging file systems. Gap Free ring design prevents gapping so pages turn smoothly. Rings lock to ensure pages don't fall out. Label holder on spine to identify contents. Sturdy, flexible, nonstick poly covers.